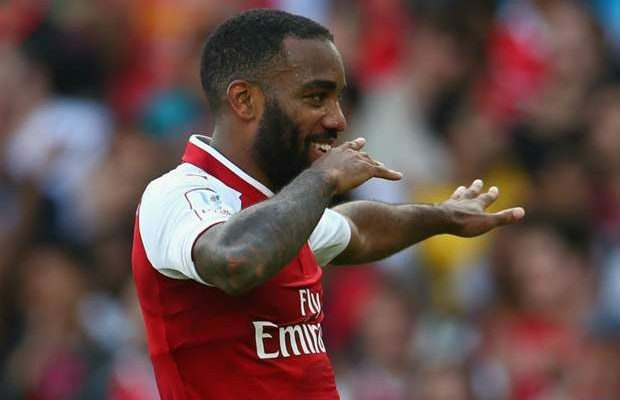 Arsenal striker Alexandre Lacazette has been ruled out for up to six weeks after having knee surgery on Tuesday. The 26-year-old came off the bench and missed a couple of chances as the Gunners were beaten 1-0 by Tottenham in Saturday’s north London derby. Lacazette had the operation on Tuesday, which Arsenal described as “a success”. It leaves the Gunners with Danny Welbeck as the only recognised senior striker for Thursday’s Europa League last-32 tie with Ostersunds FK. New signing Pierre-Emerick Aubameyang is not eligible to play in the competition.